Biologique Recherche is an extensive line of beauty products carefully designed to treat the face, body, and hair. The company behind this line, also named Biologique Recherche, has spent the last four decades providing people with some of the best skincare products in the world. Where to Buy Biologique Recherche Los Angeles? Have you been on what feels like an endless search for Biologique Recherche products? Have you scoured the skincare aisles of every store in the Los Angeles area looking for these miracle formulas? Well, look no more! Sepi Spa on Montana Avenue in Santa Monica has you covered. Simply go to Sepispa.com to get your Biologique Recherche fix. Additionally, if you feel like having your inner princess pampered, go to Sepi Spa and take advantage of their numerous services that will leave you feeling like an A-list celeb. Masque Vivant is a balancing face mask that is designed specifically for oilier skin or unique skin types that normal skincare products don’t cover. The ingredients used in the Masque Vivant formula include cucumber, witch hazel extracts, and high concentrations of yeast, which are all widely known for their ability to purify skin. In addition to being a great anti-aging mask, Biologique Recherche Masque Vivant is also known for its ability to reduce blemishes and acne. So, if you’re looking for an effective way to reduce signs of aging, skin blemishes, or just want a fresher, brighter looking complexion, try Masque Vivant. You won’t regret it. No one is safe from acne and everyone suffers from it at some point. Acne can rear its ugly head (or heads) for numerous reasons; including stress, excess hormones, genetic factors, or even your diet. There are hundreds of products currently on the market that promise to reduce acne, but these formulas can also cause your skin to become dry, irritated, or even make your acne worse…Yikes! With such an overwhelming number of these products available, it can be hard to determine which product is most effective for eradicating those annoying pimples and blemishes without completely drying out your skin. This is where Biologique Recherche comes in. Lait U:Perfect for oily and sensitive skin types, Lait U is a cleansing milk that helps reduce excess oil, nourish skin, and gently cleanses skin without dehydrating. Lotion P50: An exfoliating toner, Lotion P50 is known as one of the stronger formulas in the Biologique Recherche Lotion P50 lineup. Additionally, it is frequently recommended for those with oily skin types due to its ability to regulate sebum and purify skin. However, it is important to note that this formula is best used on occasional breakouts. It is not recommended for active acne. Masque Vivant: As previously stated, this product contains many ingredients that purify the skin and reduce the oil that leads to acne breakouts. The heightened concentration of yeast found in Masque Vivant is even great for drawing clogs out of your pores. Additionally, Masque Vivant also contains lactic acid, which is a powerful Alpha Hydroxy Acid (AHA) that helps reduce breakouts and exfoliate your skin. Complexe Iribiol: A balancing serum that is known to tighten pores and regulate sebum secretions, Complexe Iribiol contains Zinc and Iris extracts, which are highly effective in treating blemishes and acne. The anti-bacterial and anti-inflammatory properties of this product also help reduce or prevent acne breakouts. It can either be used as part of your regular skin treatment or on an occasional basis as needed. Serum Placenta: Known as a repairing serum, Serum Placenta is great for repairing skin damage caused by acne scars or hyperpigmentation. In addition to its regenerative properties, Serum Placenta also contains cellular oligopeptide, which is a blend of fatty acid and amino acid that is effective for reducing unwanted wrinkles and other signs of aging. Crème Dermopurifiante: A highly effective moisturizer for those who are prone to acne breakouts, Crème Dermopurifiante works by regulating sebum secretions, minimizing the redness that occurs with breakouts, brightens your complexion, and thoroughly cleanses the skin. Emulsion Gel Biosensible S.R: This formula is specifically designed to treat sensitive or dehydrated skin types. With active natural ingredients such as white tea leaf extract, hyaluronic acid, sacha inchi oil, grape seed oil, kudzu extract, and pomegranate, Emulsion Gel Biosensible S.R is great for relieving skin, tightness, shrinking dilated pores, and reducing redness caused by breakouts. Taking into consideration that all of the Biologique Recherche skin care products are made with the highest quality ingredients designed to improve, repair, and revitalize skin, it comes to no surprise that these formulas can come with a relatively high price tag, with most products ranging between $67.00 to $300.00 a bottle. However, you get exactly what you pay for when shopping Biologique Recherche. If you’re looking for top-notch beauty products with all-natural ingredients and no harmful chemicals, it is well worth the dishing out the cash for these bottled miracles. 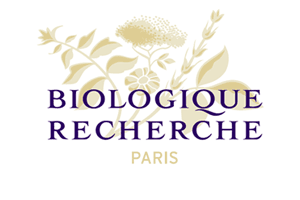 With all the money that you may be spending on cheaper products that don’t work, why not go for the best and give the Biologique Recherche line a try? There are endless Biologique Recherche serums, creams, and lotions that may be used during a facial. The choice in what will be used usually depends on the client’s needs as everyone is different. When performing a Biologique Recherche facial, the spa specialist will often use multiple products from the Biologique Recherche skin care line to achieve the desired results. The facial will include three stages: initialization, treatment, and finishing. >During the initialization stage, the specialist will use specific formulas to cleanse and hydrate skin. Often, Biologique Recherche Lotion P50 (or one of its variations) is used in this process. Additionally, a purifying mask, such as Masque Vivant, will be used. During the treatment stage, a series of serums will be used to treat imbalances, exfoliate, brighten, hydrate, and stabilize your skin. Serum Collagene Marin, Serum Elastine Pure, and Serum Colostrum are just a few of the quintessential serums from the Biologique Recherche skin care line that may be used. 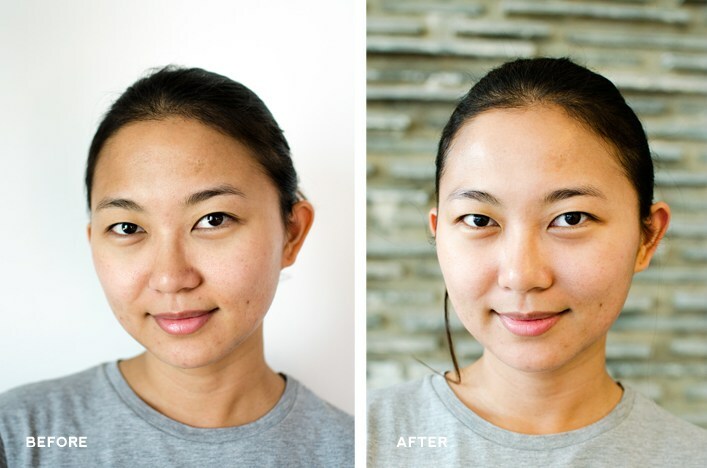 A Remodeling Face Machine may also be used in combination with the serums in order to achieve the best results. Finally, a face cream will be applied to seal in all of the previous formulas used during the facial. Once your facial is complete, the specialist will likely recommend a beauty routine that consists of Biologique Recherche products in order to maintain your new face. Whatever routine you choose to follow, make sure you include Lotion P50 in the mix. 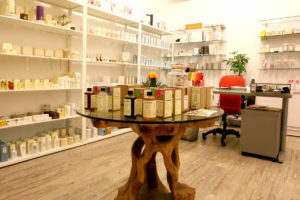 You can find Lotion P50 online at Sepispa.com, or stop by the Sepi Spa located at 1624 Montana Ave, Santa Monica, CA 90403. Call to book your Biologique Recherche Facial Treatment at Sepi Spa Today! Book your endermologie massages call 310-998-1958 or visit our Spa at 1624 Montana Avenue, Santa Monica, CA.